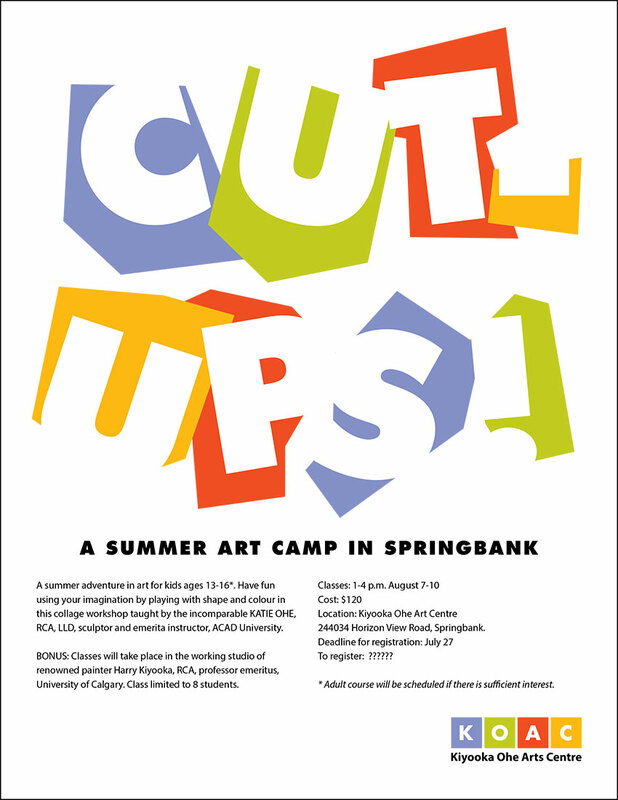 A summer adventure in art for kids ages 13-16*. Have fun using your imagination by playing with shape and colour in this collage workshop taught by the incomparable KATIE OHE, RCA, LLD, sculptor and emeritia instructor, ACAD University. Bonus: Classes will take place in the working studio of renowned painter Harry Kiyooka, RCA, professor emeritus, University of Calgary. Class limited to 8 students. To register please complete the registration form below, and make sure to submit your payment of $120.00 at the end of the process. Any special dietary or medical requirements?